If you’ve always dreamed of a romantic wedding down the shore with an equally stunning indoor option, look no further than the Reeds at Shelter Haven! Kasey and Adam took one look at this gorgeous bayside venue and knew it was the perfect place to celebrate their wedding with their closest family and friends. 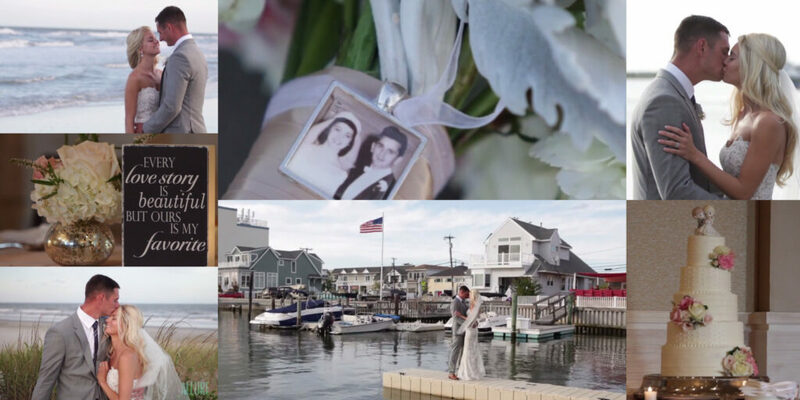 With stunning views of the Stone Harbor bay, an outdoor veranda, and a jaw-dropping indoor ballroom, the Reeds had everything they wanted, and more. After exchanging their vows at St. Paul’s Church, the newlyweds took in the summer bay breeze as they made their way to the reception. The weather couldn’t have been more perfect as guests gathered on the veranda for cocktail hour, and Allure Films captured more than one loving glance and stolen kiss between Kasey and Adam beneath the setting sun! As the night wore on, we made our way indoors for an evening of ocean-inspired dinner, dancing, and fun. The happy couple’s closest family and friends gave speeches filled with heartfelt words and well-wishes. The dance floor was never empty; it was clear that everyone had an amazing night! Best wishes to the new Mr. and Mrs! 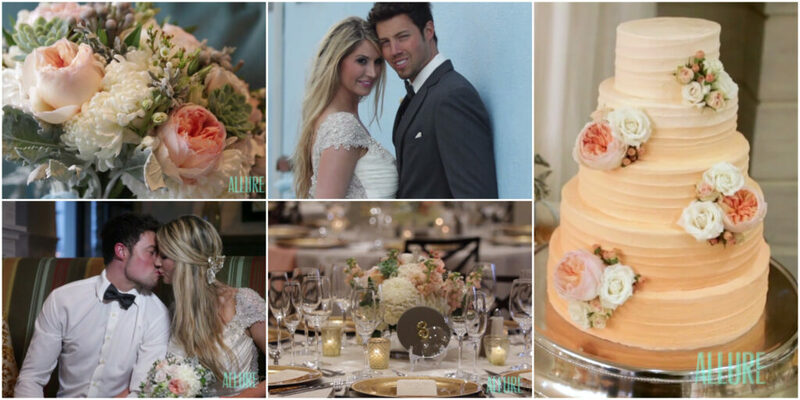 Thanks for inviting the Allure team to share your special day with you! Click here to speak with a representative about Allure Films’ comprehensive wedding videography packages. After weeks of frigid weather, it’s nice to escape to warmer days for a minute. And this beautiful summer wedding at The Reeds At Shelter Haven is sure to warm your heart right up! Jacqueline and Brian’s wedding in Stone Harbor, NJ was practically flawless, with a ceremony by the water that was like something out of a fairy tale. Allure Films truly enjoyed capturing every last detail, from the beautiful floral designs, to the touching photographs of family members on their wedding days tied to the bride’s bouquet. Jacqueline and Brian had fun in the sun with all their family and friends all day long. The gentle breeze throughout the day helped keep everyone cool, and made for some breathtaking videography shots! After their waterside ceremony, guests gathered for an evening of dancing and dining inside The Reeds. This was the perfect location to celebrate such an amazing day! Congrats to our newlyweds!